First thing we noticed walking up was the patio section. It was a cool night so it was nice walking up to a beautiful patio with heaters. The mood lighting inside made a bit difficult to get a good shot of the inside without blinding people with my camera flash lol but it was none the less amazing. Faux candles decorated the table the bar was definitely something my husband and I would have to re-visit without the kiddies. For the appetizer we had to try the new Lobster Stuffed Shrimp. Butterflied shrimp with a creamy lobster + shrimp Imperial stuffing, topped with a lemon caper butter sauce. Never-the-less we did order them the Fries and Mac N’ Cheese which they were very happy with. 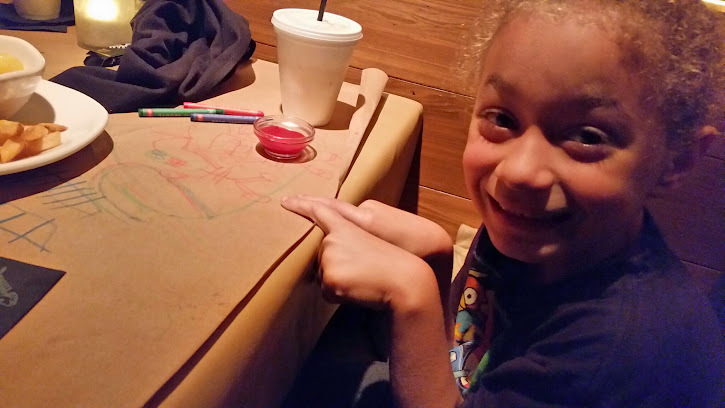 The kids also had a blast coloring on the paper table covering. For my husband and I, we ordered the Lobster Grilled Cheese. Cheddar, smoked mozzarella, North Atlantic lobster chunks, with fresh greens + lobster bisque and we ordered some house made potato chips as a side. 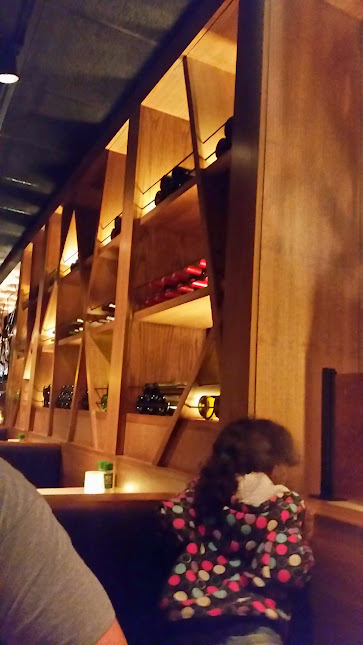 Other than that it was a great experience more of a date night out than a family night out but overall we had a great time and some amazing food. 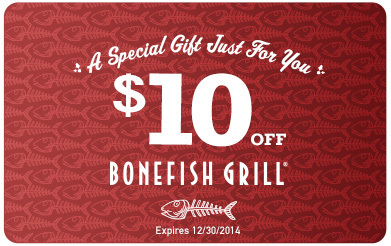 Celebrate the holidays at Bonefish Grill Free $10. To embrace the season and all its frost, sip one of Bonefish Grill’s Winter cocktails including the Cold Snap Blackberry Frost served in a glass made entirely of ice, mixed with freshly muddled blackberries, blood orange liqueur, vodka and fresh lemon juice or the winter-time favorite Winter White Cosmo, mixed with St. Germain Elderflower liqueur, white cranberry juice and fresh lime. Offer Expires 12/30/2014 Click HERE to grab your offer today! Disclosure: I was provided with a gift card to help with my review of the Bonefish Grill. All opinions are 100% my own. 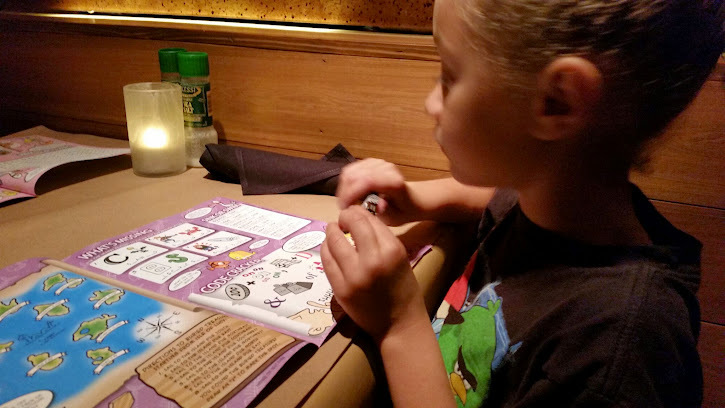 I have never ate at a bone fish grill, is it kid friendly?